Rock climbing provides your team a new and exciting way to break down boundaries and encourage socialization and team building in a different environment. Heavily reliant on good communication, trust, problem solving and team encouragement, this activity is ideal for a corporate team building exercise. Shedding formality and getting physically active. Of safety is always our priority; your group will appreciate getting out of the office or stuffy conference room to explore their abilities as a team. 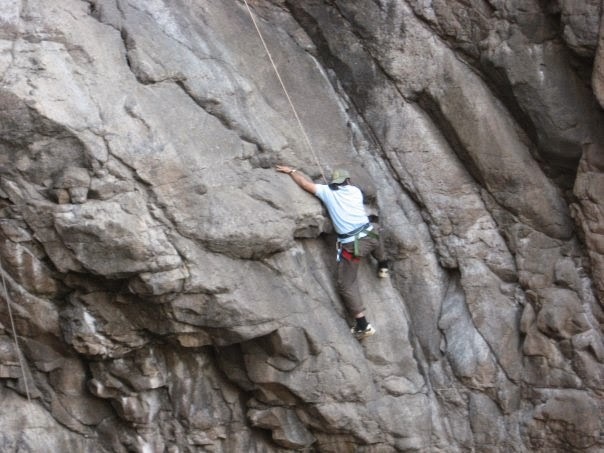 Rock climbing is fun and challenging, and it’s suitable for all age groups. Time Required: Minimum half day can be extended to 3 days. We can combine other activities like rappelling; valley crossing; jumaring; rescue operation; rope management etc to make it a complete program; Or blend it around other team building activities.